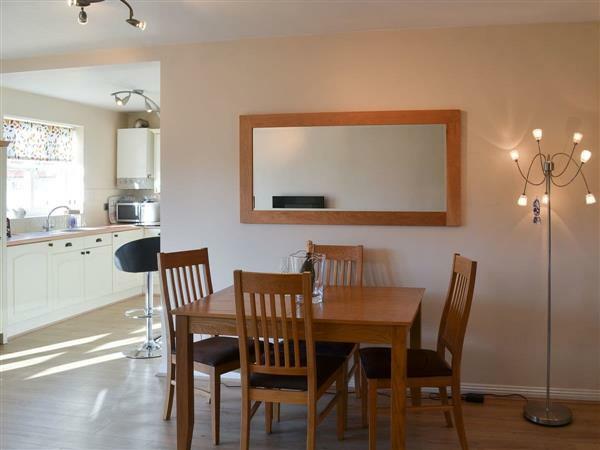 Tern Point in Beadnell, near Seahouses, Northumberland sleeps 4 people. 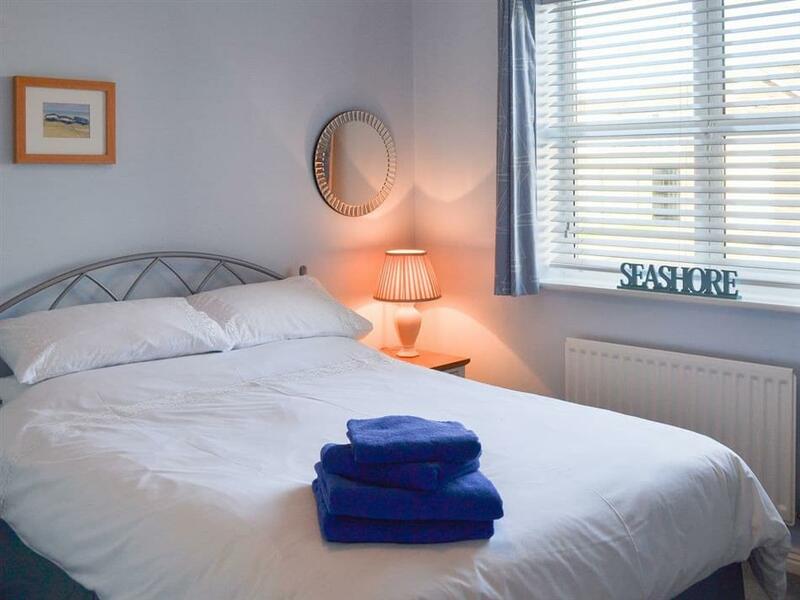 Tern Point near Seahouses is a ground floor apartment nestled within a modern development and situated within easy walking distance of Beadnell Bay’s golden sandy beach. The apartment enjoys a bright and airy ambience and is immaculately presented throughout. It makes an excellent choice for couples or a small family seeking smart coastal accommodation. Beadnell is a popular holiday destination with local facilities including a village shop and a family friendly pub serving good food. For water-sports enthusiasts there is sailing, sea kayaking, wind surfing and scuba diving available. Beadnell Bay can truly be described as the jewel in Northumberland’s seaside crown. Enjoy a romantic barefoot stroll in the sand whilst listening to the waves lap against the shoreline and inhale the invigorating sea air. The traditional fishing port of Seahouses is just 2 miles up the coastline. You can take a boat trip to the nearby Farne Islands, famous for its bird sanctuaries and seal colony. There are also several charming tea rooms, quaint pubs and shops. Horse riding, fishing and golf on the links close by are only a sample of the many activities available in this popular location. A further 3 miles up the coastline is the picturesque village of Bamburgh, which lies snuggled in the shadow of its majestic fortress. Just a few miles inland is the bustling market town of Alnwick, with its dramatic castle and film location for Harry Potter’s Hogwarts Academy. Visitors will enjoy a trip to Alnwick Garden, a spectacular interpretation of a formal garden including the Grand Cascade waterfall and restaurant within the largest tree house in Europe. The beach is 300 yards from Tern Point near Seahouses. With the shop, pub and restaurant 800 yards from Tern Point. Living area: With Freeview TV, DVD player and patio doors leading to garden. Kitchen area: With electric oven, gas hob, microwave, fridge and washer/dryer. Calor gas central heating, electricity, bed linen, towels and Wi-Fi included. Enclosed garden with patio and garden furniture. Private parking for 1 car. No smoking. Holidays at Tern Point run from Saturday to Saturday. Pets allowed at Tern Point. For a better idea of where Tern Point is, you can see Tern Point on the map below. Tern Point is in Northumberland; should you be on the lookout for a special offer, you can find all the special offers in Northumberland. It's always worth checking to see what is on offer at the moment. Do you want to holiday near Tern Point (UK3313), you can see other cottages within 25 miles of Tern Point; have a look to find your perfect holiday location.